Blue House Farm has absolutely gorgeous, fragrant green Anaheim chili peppers right now. 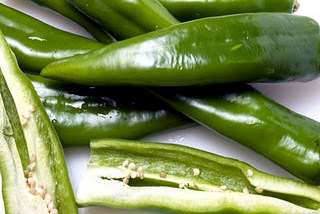 Long, slim and pointy, these peppers are perfect for roasting and offer just a tiny kick. 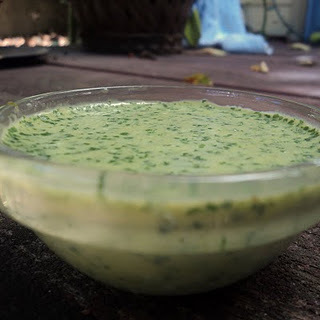 This easy piquant sauce comes together in just a few minutes and showcase the peppers’ tendency to become sweet and tender when roasted, making for a silky-textured condiment that is lovely on eggs, tacos, grilled meats or as a sauce for enchiladas. Preheat broiler to high. 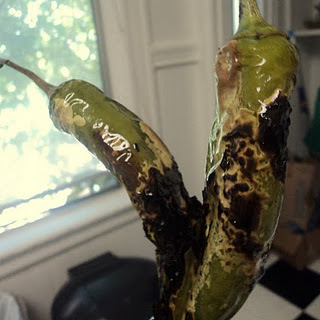 Drizzle whole peppers with olive oil and place on a baking sheet. Broil for 7-8 minutes on each side or until skin becomes very soft and lightly charred. Under cool running water, slip the peppers’ skins off (they should come right off–if they don’t, put them back under the broiler for a few minutes). Discard the stems and remove the seeds if you prefer a milder sauce (keep them in if you like spicy flavors). Chop the chilies roughly. Puree the chilies with the rest of the ingredients in a blender or food processor. Sauce will keep for up to 5 days, sealed in an airtight container. 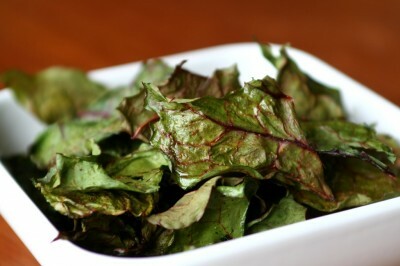 Try this easy recipe for healthy baked chard chips from Tofu for Two with the rainbow chard from Blue House Farm. Yum! 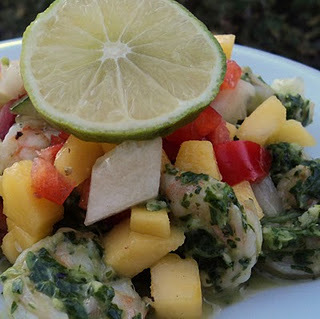 Here’s a delicious seafood dish from the author of BrokeAss Gourmet, featuring lots of delicious fresh herbs, which we know for a fact she picked up at the Mission Community Market! Be sure to check out Bob’s Fish and Poultry right next door to the MCM for great deals on fresh shrimp! 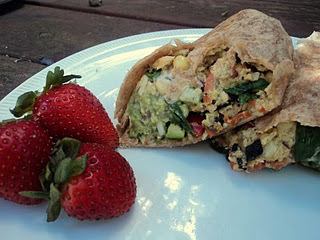 What better way to start the day than with a veggie-stuffed breakfast burrito? Stop by the MCM tonight to pick up fresh veggies from a variety of vendors, and farm-fresh eggs from Tomatero Farm. Wrap this yummy scramble up in warm whole-wheat tortillas and you’ve got a healthy, delicious and highly-portable breakfast! Heat olive oil in a large frying pan over medium-high heat. Add onion and cook just until fragrant, about 1 minute. 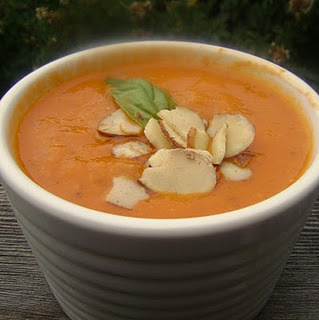 Add chard, bell pepper, tomato, carrot and zucchini and cook for 3-4 minutes, or until chard begins to soften. Add eggs and cook, stirring occasionally, until eggs scramble. Turn off heat and gently stir in shredded cheese and cilantro. Season with salt and pepper to taste. Roll egg mixture up in tortillas with guacamole, sour cream, hot sauce or whatever else you like in your burritos. These are also perfectly delicious without added condiments. Makes 4 large breakfast burritos.